Be a Student Correspondent at the 2010 Oscars! 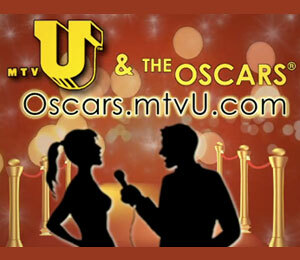 The Academy of Motion Picture Arts and Sciences is teaming up with mtvU to find a college journalist to cover the Oscars! You'll get to cover the red carpet and backstage action! Create a video showcasing your broadcast journalism skills and explain why you should be chosen to represent the college community at the 82nd Academy Awards -- and you could win! Visit mtvu.com for the full details.